Our goal for community outreach is to create a sustainable Minneapolis FIRST community, specifically in the FTC program. This is important because many students could be very successful and learn a lot through a FIRST program and we believe that everyone should have the opportunity to do so. While doing so we hope to empower young women in STEM, and help them to gain self-confidence about their skills. Lake Harriet Community School Science Fair (3/10/2016): In this event we spread the word about FTC to those who are interested in science and encouraged them to join FTC in the future. 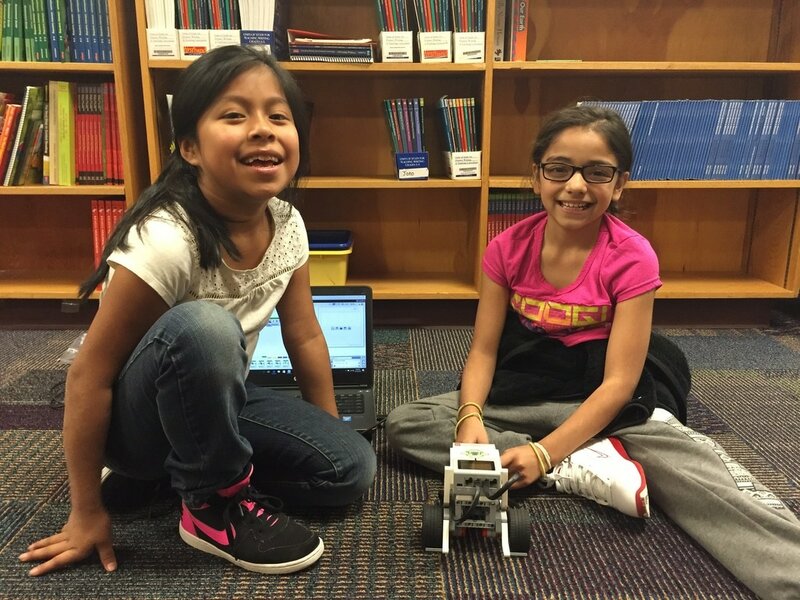 We demoed our robot as well as bringing our board and computer to show programming. Boston Scientific Tour (4/8/16): This event allowed us to connect more with the professional community. We spoke with engineers about possible careers in those fields, and talked about what we do in FTC. Robotics Day at the Works (4/9/2016): At the Works, we shared our knowledge of robotics programs with others, and increased awareness about them. Something that was especially unique was that there was a large number of young children, that could be interested in joining programs in the future. National Robotics Week at Eden Prairie Mall (4/10/2016): While at this event, we spread awareness about FIRST and helped encourage donations to the program. We answered many questions that people had, and this event helped us to feel like more of a part of the community. 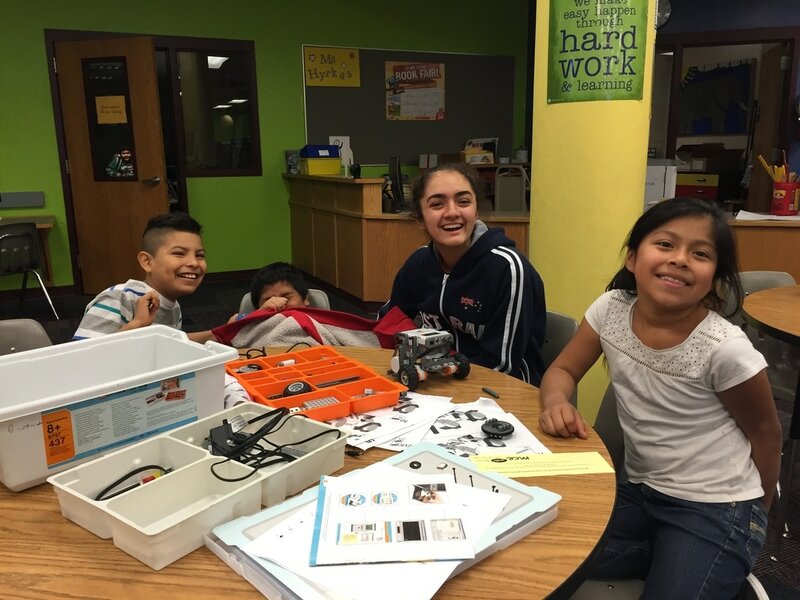 Summer STEM Academy (5/13/2016 - 6/22/2016): Three of our members worked at the Minneapolis Summer STEM Academy at Pillsbury elementary school We worked as mentors to help engage students in k-5 Grades in STEM and teach them important skills, like leadership, team work and The Engineering Design Process. Sustainable FTC Meeting (6/8/2016): At Patrick Henry High School we got to share our knowledge about FIRST programs and how to start a Rookie team in Minneapolis. FIRST Ladies Conference (6/24/2016): Located in the University of Minnesota, we discussed the development of communities for women in FIRST programs with other STEM women. Summer Robotics Summit (8/6/2016): A couple of our team members went to this summit and attended presentations about how to be keep a successful, hardworking team. AT&T Foundry Tour (8/24/2016): Thanks to the AT&T Bloomington office we were able to attend a virtual tour of the AT&T Internet of Knowledge Foundry in Palo Alto, Texas. The tour helped us acknowledge what types of jobs in STEM we could have after FTC. FTC Kickoff (9/10/2016): Our team had the opportunity to present for rookie teams on tips about their first tournament and how to be as successful as possible. Presentation to Settergren Hardware (9/12/2016): We were able to present to Settergren Hardware Store, a local company where we buy much of our equipment. We helped educate them about FIRST programs, our team and the community that is built by FIRST. Minnesota Advocacy Conference (9/24/2016): At this conference our team learned how to communicate with politicians who represent our community. We got to hear the STEM education specialist Doug Paulson speak about issues related to the topic. Meeting Ultraviolet (12/1/2016): Ultraviolet is an FRC Team from Southwest High School, we showed them our robot and discussed strategy with them. We tried to strengthen the FIRST Minneapolis community throughout more areas of FIRST. MURA Party (12/15/16): We attended a holiday party to celebrate the accomplishments of all of the new FTC teams that have been started through MURA (the Minneapolis Urban Robotics Alliance) and discuss plans for the future to help these teams to be sustainable. We also spoke with a reporter about the accomplishments of our team and MURA. ​Lake Harriet FLL Competition (1/7/17): We brought a Core Values judging session to the Lake Harriet Community School FLL competition and were able to teach teams how they could work better together and how they can become better presenters. We also tallied points for the runs so that the competition would run smoother for those in-charge. Meeting with Dr. Barbara Lunde (1/27/17): Dr. Lunde is a former NASA engineer who also has a PHD in Physics. We had a very intellectual conversation about women in STEM programs and talked about what we do in FTC and other FIRST programs. Minneapolis STEM Expo (2/2/17): We demonstrated our robot to Minneapolis Public School students and showed them the opportunities that come from FIRST in their future. Touring Stratasys (2/4/17): Our team toured the Stratasys Eden Prarie location, we learned about 3D printing and had conversations about future STEM careers. Minnesota State FLL tournament (2/25/17): Our team sold merchandise such as Minifigures and pins to kids,and talked about our team and FTC to those who were interested. Meeting with Senator Dibble (3/2/17): Senator Dibble was very interested with our ideas about how to educate more students about STEM. We informed him about our team mission and discussed a budgeting program. ​Meeting with Rebecca Gagnon (3/7/17): Rebecca Gagnon is the Chair of the Minneapolis School Board, we told her about FIRST and showed her our newspaper articles and Engineering Notebook. KFI Women's Day Radio Interview (3/8/17): We spoke on the radio with other women about women in STEM. The interview was an hour long and we talked about how adults can help spread the programs. Meeting with TPT Web Designer (3/9/17): We video chatted with a woman named Jill from TPT, we talked about how we should format the website and how we can attract the viewer's attention. Women In Science Day (3/11/17): At the Bakken Museum we educated young children about how cool robotics in and all the opportunities that they have to join STEM. Our team also talked with potential sponsors and parents who want their kids to join FIRST in the future.